This is a tall of chest of drawers that we recently finished and are still waiting on final photographs to be developed. 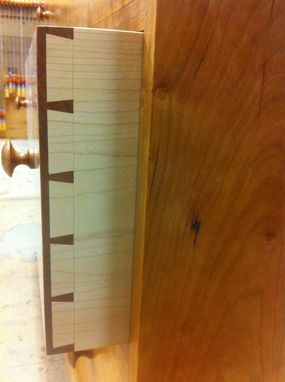 we were fortunate enough to arrive at the lumberyard to find a beautiful flitch of figured cherry while looking for material for another project. 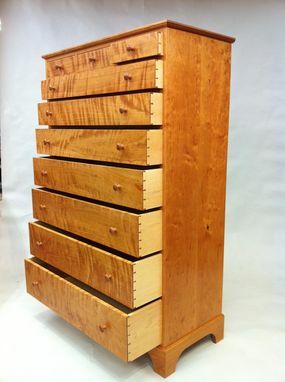 The drawers sides and bottoms are hard maple. 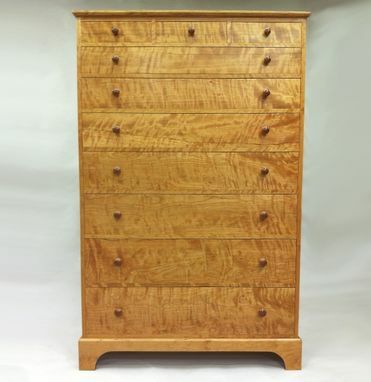 The pulls are hand turned cherry.